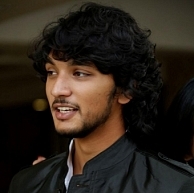 Mani Ratnam’s recent find and the hero of Kadal, Gautham Karthik is being showered with interesting projects. The young actor, who was reported to have signed a project with Aishwarya Dhanush, has supposedly accepted to do another project. We hear he will be the lead of the Tamil remake of, Ala Modalaindi (Telugu) that starred Nani and Nithya Menon in the lead. Ravi Thyagarajan will direct the film and Imman will do the music. The rest of the cast and crew are expected to be announced soon.